Sometimes your brain plays tricks on you. Confusing one word for another. Then with the advent of Photoshop, that can become real. 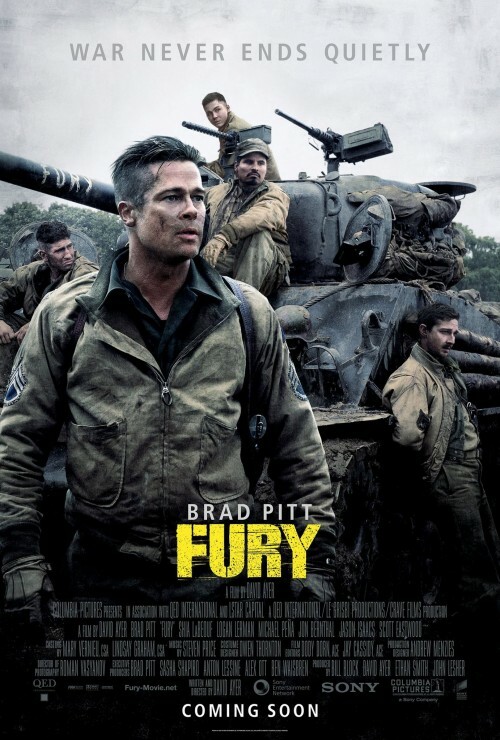 This time it hit with Brad Pitt’s upcoming war movie, Fury. I miss-read it as Furry, something entirely different alltogether. The release, late last week, of the new poster was the thing that tripped my brain off on a bit of a strange tangent. The strange tangent that happened ended up as the below poster. Deciding on, and then finding the correct furry animal was the hardest part. The Photoshop magic that became the below poster advertising a similar sounding film, Furry, was the easy part. It probably needs a new tag-line but I couldn’t think of one at the time so that was left alone. Which movie would you go and see? 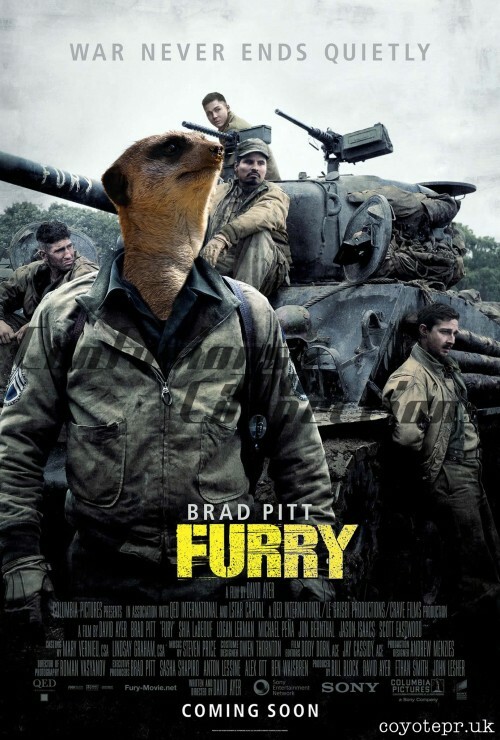 One with Brad Pitt or one with a meerkat playing Wardaddy? April, 1945. As the Allies make their final push in the European Theatre, a battle-hardened army sergeant named Wardaddy commands a Sherman tank and her five-man crew on a deadly mission behind enemy lines. Outnumbered and outgunned, and with a rookie soldier thrust into their platoon, Wardaddy and his men face overwhelming odds in their heroic attempts to strike at the heart of Nazi Germany. Find out more about Fury on twitter.